The skinny channilizing device has alternating white and orange stripes. It is perfect for narrow highways and street projects where space is an issue. 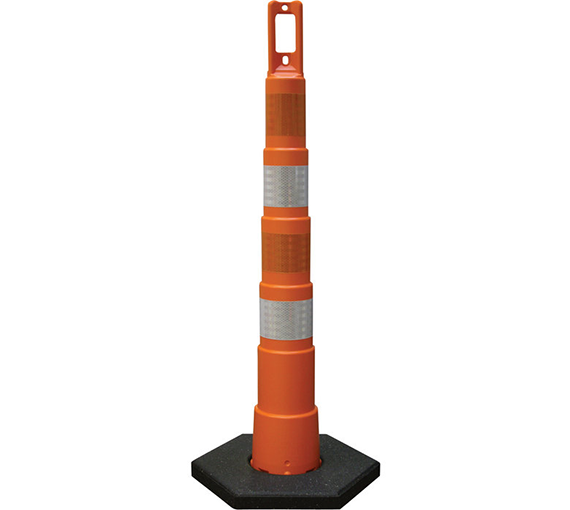 It is recommended for work zones, crowd control, construction areas, lane closures and schools. This product is very durable and is designed to rebound after impact.